Hello everyone, I have butterflies in my stomach as I am going to move to a new office. A new office that is a lot bigger and gives me a new start & a breath of fresh air. 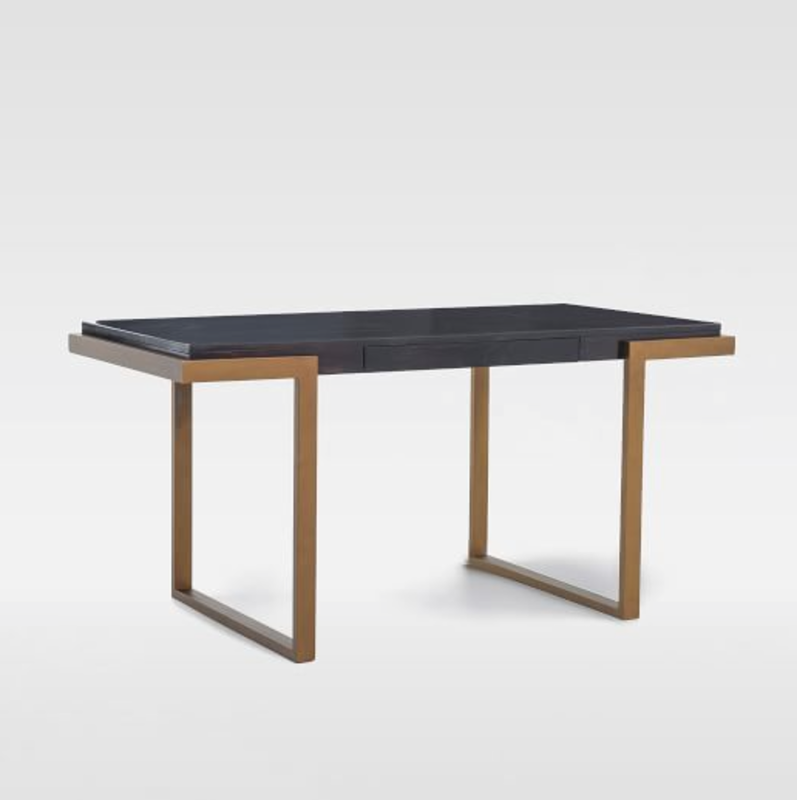 Looking for new office desks I have a few to share with you. I absolute love brass. 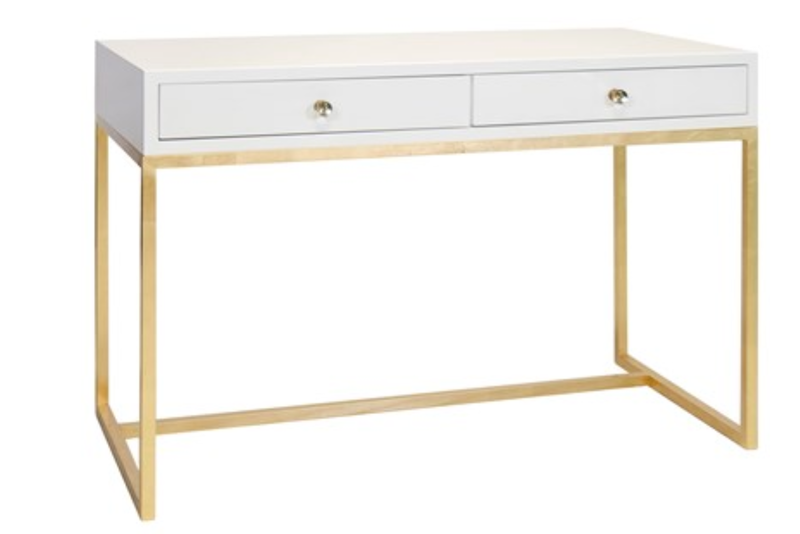 But as brass desks come with a expensive price tag, I am thinking about doing a nice DIY and spray paint the legs in a metallic gold to achieve the brass look. 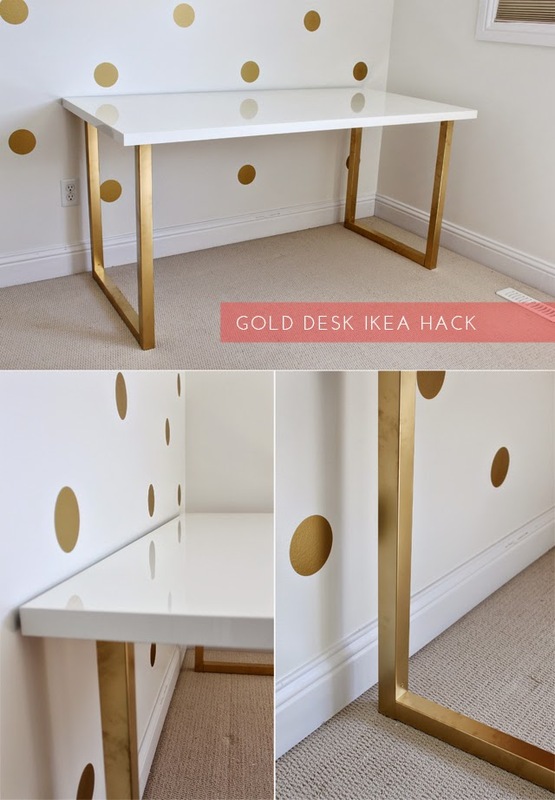 She used an old ikea table of 49 euros and a few pieces of wood and metallic gold paint. 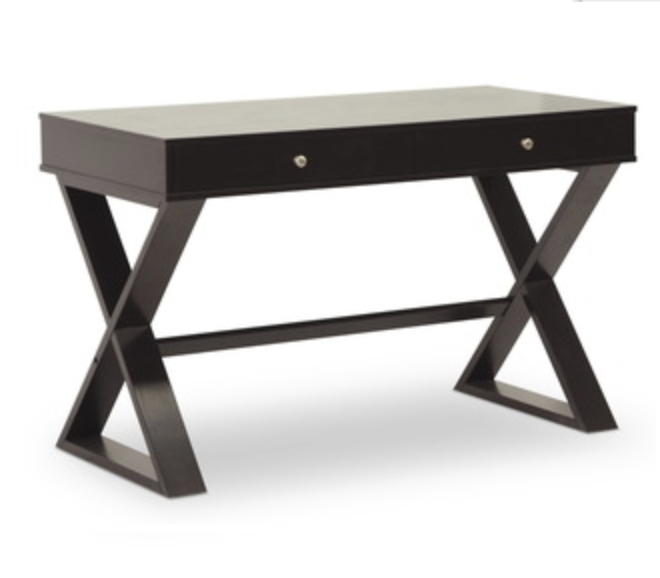 This gorgeous Addison desk is of West Elm, a little out of my price range but very lovely.